LeMay Lake is a 32 acre lake located in central Minnesota in the town of Eagan. Wenck Engineering conducted a water quality study and found the lake was degraded by high rates of internal phosphorus loading. 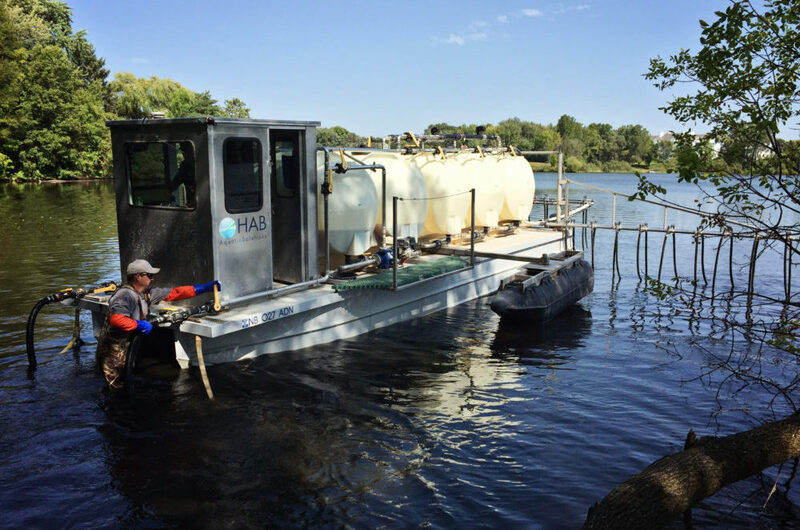 The City of Eagan contracted with HAB Aquatic Solutions to apply 9,853 gallons of liquid aluminum sulfate and 4,927 gallons of sodium aluminate over a day in the fall of 2015. 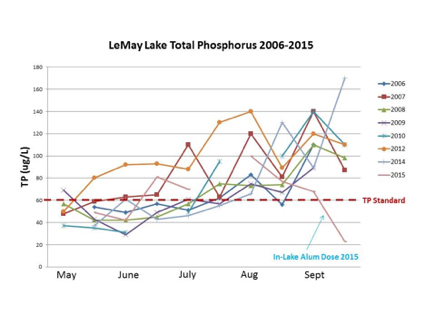 Prior to the application, water column total phosphorus in the late summer/early fall averaged near 120 ppb, but was reduced by over 80% to 23 ppb after the application (see graph below).